Nepal Culture Tour & Trek – 12 days is a Easy Tour & Trek . Travelers who can walk up to 6-7 hours a day on an uphill and downhill trail will find this trek fulfilling. It is best that we prepare ourselves for the Annapurna trek by jogging and exercising regularly at least a month prior to the start of the trek. Trekking to the Everest Base Camp should be relatively easier for those who have experience walking/trekking in a high altitude environment. Past hiking experience would be an asset but no technical skill is required for this trip. It is also important that we consult our doctor. Participants with pre-existing medical conditions such as heart, lung, and blood diseases should inform Discovery Mountain Trek before booking the trek. The best time to trek to the Nepal Culture tour & Trek is Spring (February to May) and Autumn (September to November). The temperature is moderate in these seasons and guarantees amazing views through the trip. Although this trek can be undertaken during winter, the cold temperature might not be suitable for everyone. 3 -star hotel accommodation 3 night in Kathmandu, 1 night in Nagarkot, 2 night Chitwan and 2 in Pokhara with all meals breakfast, lunch and dinner. Discovery Mountain Trek offers you here to discover the cultural and natural heritage of Nepal. Our tour start from 3 Heritage site In Kathmandu, Sunrise and sunset view at Nagarkot, Jungle Safari in Chitwan, Then we start 4 days trek in lower Annapurna mountain which offers us discover the beauty of Himalaya! We walk through terraced crops and rhododendrons forests, and pass through the most beautiful villages in the region, After all we leave the mountains and back to Kathmandu. A complete trip, ideal for a first trip to Nepal. We start our visit after breakfast, 3 World Heritage Sites in Kathmandu. Pashupatinath houses a sacred lingum, or the phallic symbol of Lord Shiva. The Aryaghat alongside Pashupati and on the banks of the Bagmati River is a famous site for the Hindus. 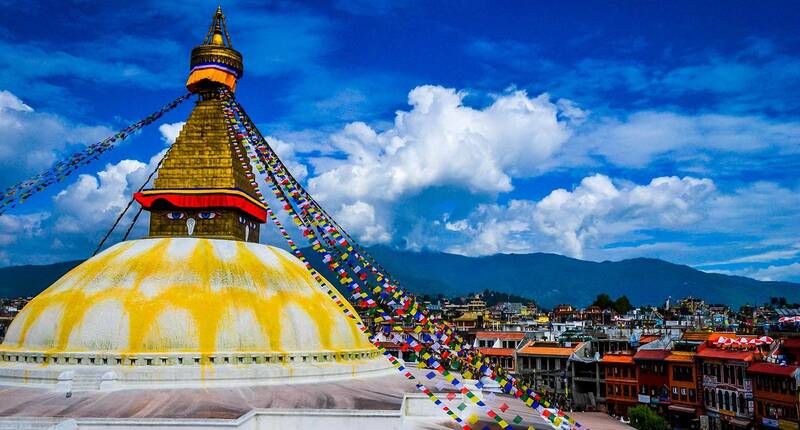 The Buddhists shrine of Boudhanath is one of the largest stupas in the world, and one of the holiest Buddhist pilgrimage and tourist destinations in Kathmandu. The area of Boudhnath is also famous for over 45 Tibetan Gompas or monasteries. Swayambhu meaning the “the self-existent” is popular among the foreigners as the Monkey Temple cowing to the large number of monkey population residing in the area. We start our tour of some cultural and natural spots today after taking our breakfast. Patan, also nicknamed as “The City of Fine Arts” is full of ancient places, temples and shrines, noted for their exquisite carvings. Then we head toward Nagarkot lying 32 kilometers east of Kathmandu at an altitude of 2165m above sea level. We stay at Nagarkot to enjoy the magnificent sunrise and sunset views over the major peaks of eastern Nepal Himalayas including Mt Everest. After breakfast we drive to Chitwan distance around 170km from Nagarkot and we drive into the mountains and hills . All the way we descend down along the winding road on the banks of the Trishuli River. After reaching at Chitawan and getting refreshed you will be briefed about full programs by our guide. Then we start for ours activities. There will be a guided village, walk on the banks of the Rapti River to watch the sunset views in the sub-tropical jungle. In the evening, dinner with cultural program. After our breakfast start to visit a jungle safari to explore the wildlife. Our safari excursion includes elephant safari, canoeing and bird watching. In the evening you get to enjoy the local Tharu stick dance, a slide show demonstrating the culture of Nepal and a special meal. Chitwan prides itself in its rich wildlife and lush vegetation. Rare species of birds and animals, including the one-horned rhino and the Royal Bengal Tiger, inhabit the deep jungle of Chitwan National Park is one of the most interesting tourist destination. We start our drive through Prithvi Highway the distance around 175km to Pokhara. On our way, we will pass by the banks of Trishuli river, villages, cultivated fields, picturesque landscape and snow-capped Himalayan peaks. 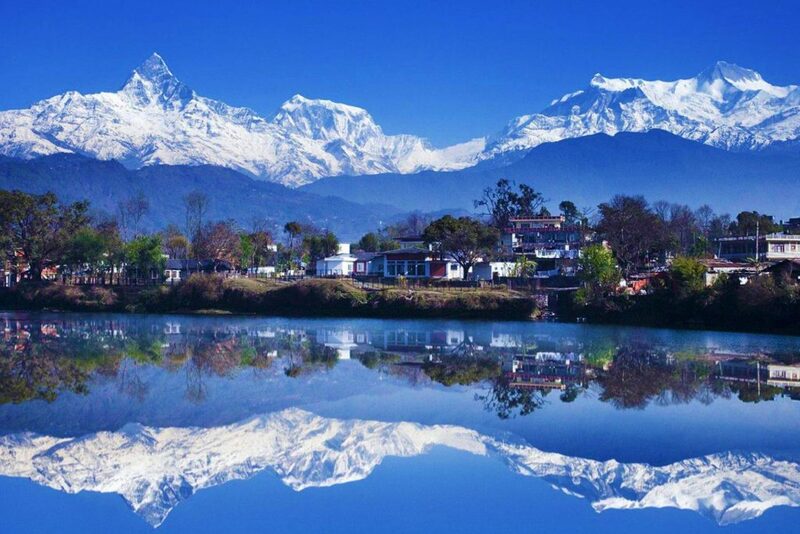 We also get excellent views of Himalchuli, Dhaulagiri, the five peaks of Annapurna and Machhapuchhre. In the evening we walk and have our dinner around the Fewa Lake. We drive to Kande we introduce with our staff. And start our trek to Australian Camp around 1 hour. from where offering a splendid view of the Lamjung Himal, Macchapuchare, Hiunchuli, Annapurna II, III, IV and South Annapurna. The climb is gradual until the small pass of Deurali. Then you descend to Tolka, before reaching the Landruk village, inhabited by the Gurung ethnic group. Nice view of Macchapuchare, Hiunchuli and Annapurna South. We start our trek down around half an hour then we cross the suspension bridge on Modi Khola. Then climb quite steep until the Ghandruk village. Ghandruk is a beautiful village of the Gurung ethnic with beautiful dry stone houses. 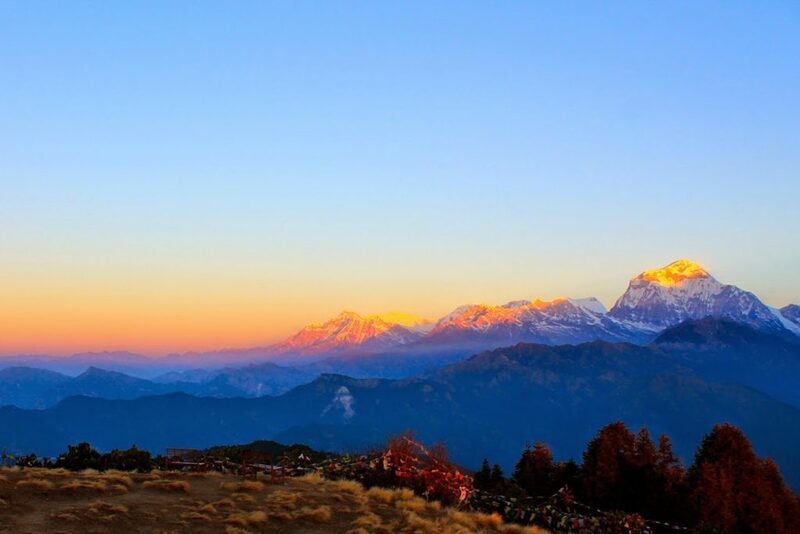 The views offering Machapuchare, South Annapurna and Hinchuli. After breakfast we start to descent stairs through terraced crops up to Birethanti, We will have our last lunch with our all staff, then we drive from Nayapull to Pokhara. We walk and enjoying our dinner around the Phewa Lake. We fly to Kathmandu in the morning. After landing at the airport, we will be dropped off at our hotel in the city. We can spend the day taking the much needed rest or catch up on some last minute and in the evening we celebrate end our trip with the farewell dinner. The 9 days culture and 3 days trek is fantastic, it makes us real experience for the Nepalese culture, jungle safari, bird watching and great panoramic view from Australian camp. i like it very much.